Super Bowl parties are all about the food. Even diehard football fans will admit the game wouldn’t be complete without an assortment of salty snacks. 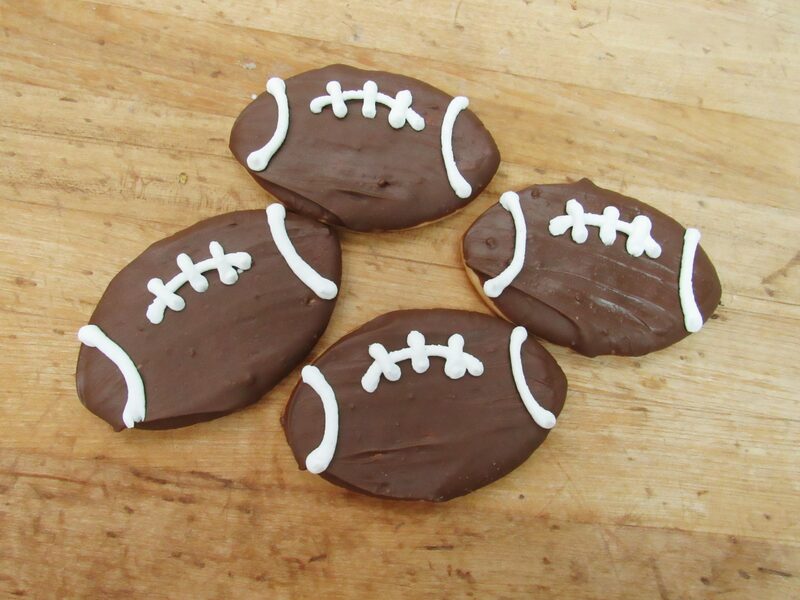 But whether you are a traditionalist that opts for wings and chips or a more adventurous football foodie, no Super Bowl party would be complete without one of these Montgomery Bakehouse Super Bowl-themed treats. Montgomery Bakehouse’s signature cookie, the Texas Tornado, is the perfect combination of melt-in-your-mouth shortbread and sweet chocolate icing. These goodies pack a flavor punch, making them an ideal way to cap off any Super Bowl meal. 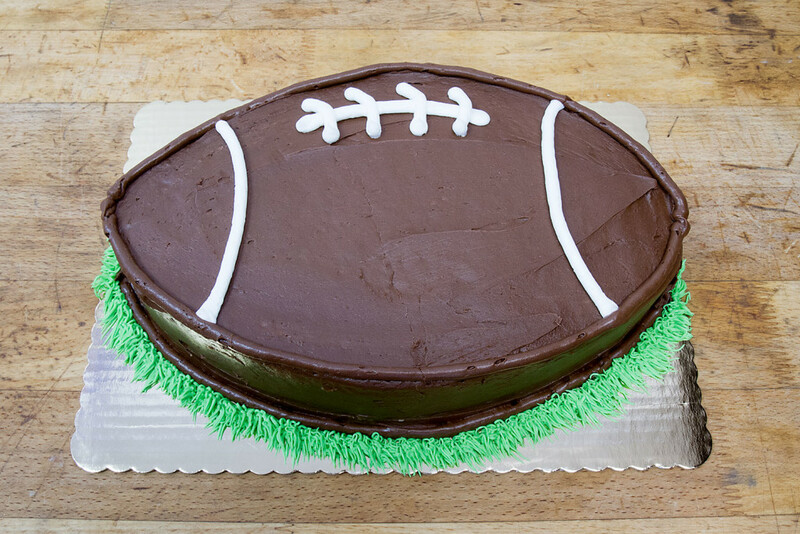 Let your guests pick which team they think will win the big game by selecting one of the end zones on our Football Field Cake. 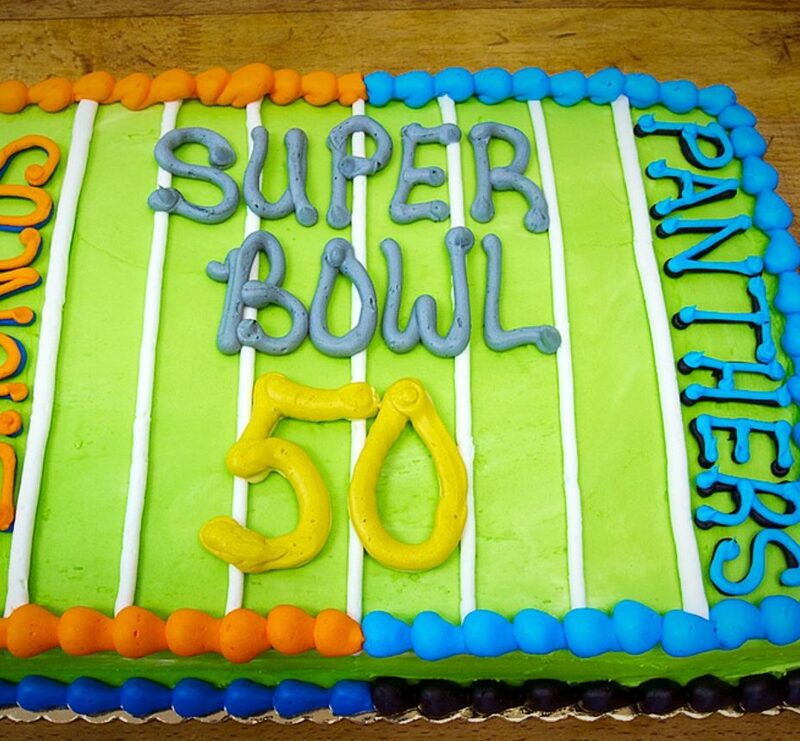 Choose from chocolate or vanilla cake decorated in team colors for a festive centerpiece to your Super Bowl table. 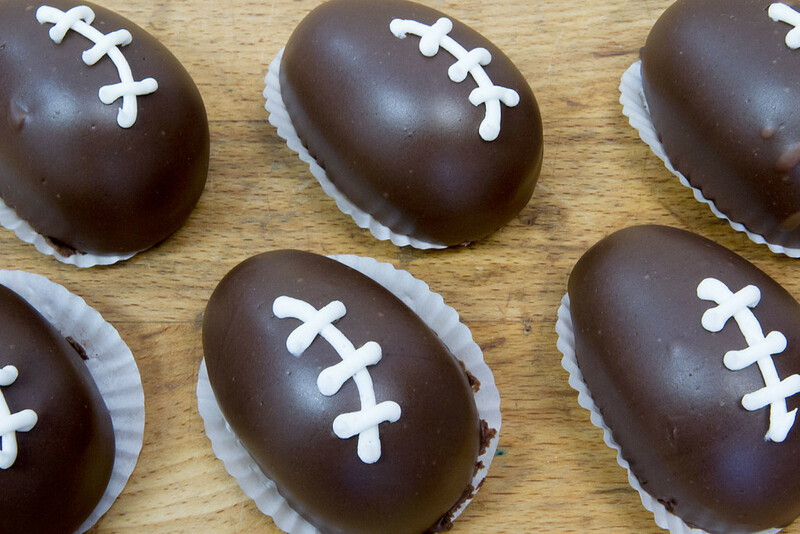 Or opt for our football-shaped cake for a dessert you won’t be able to resist. 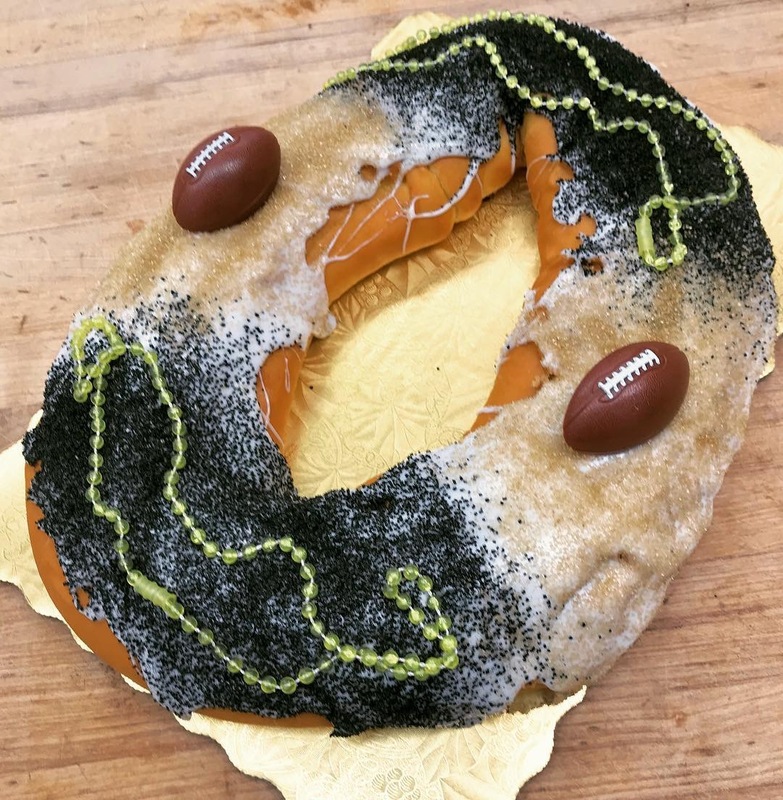 Celebrate Mardi Gras right alongside America’s game with our football-themed King Cake. Choose from one of our signature varieties – Cinna-Butter, Bavarian, Chocolate Bavarian, Pecan Praline, Cherry, Cream Cheese, or Cherry and Cream Cheese. The biggest winners will be your guests as they bite into this seasonal favorite. When is a sugar cookie not just a sugar cookie? 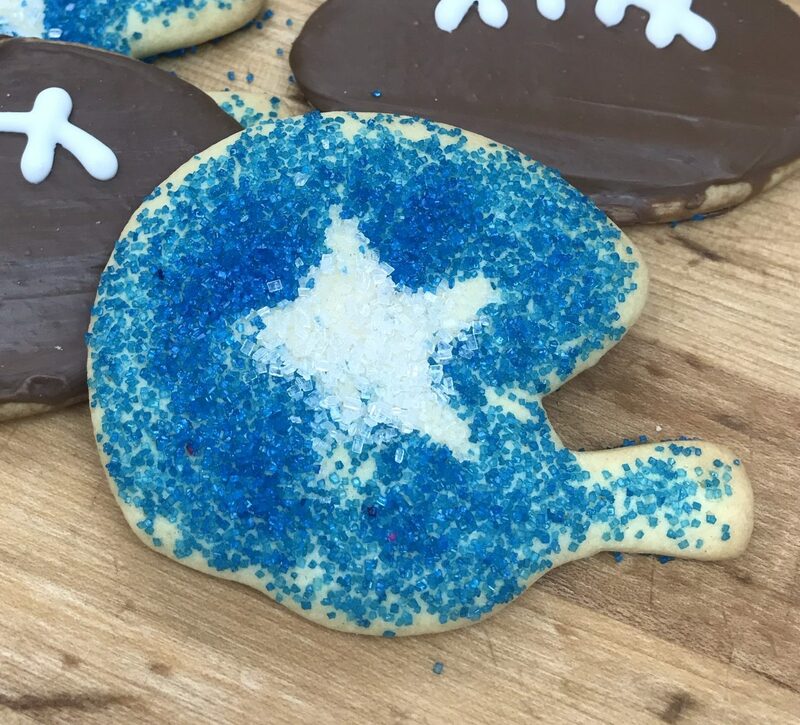 When it is one of our decorated football-themed sugar cookies! 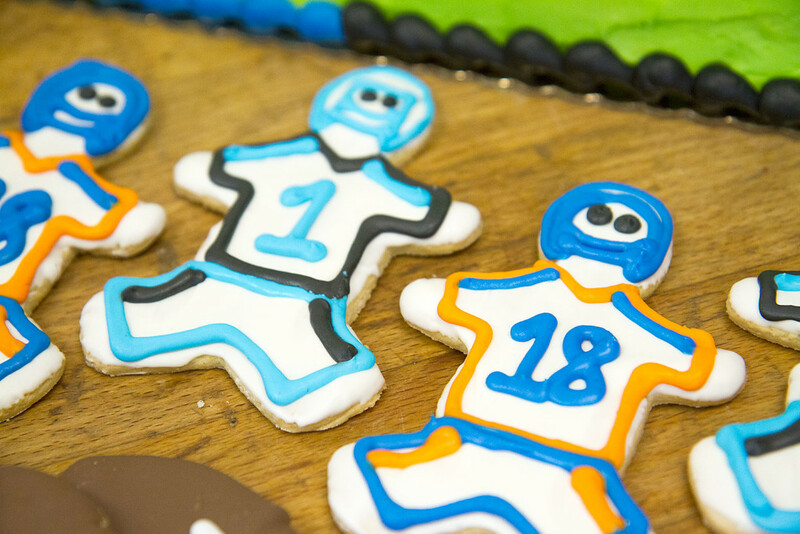 Choose from cookies decorated like the players, helmets or the footballs they are playing with for a fun, whimsical sweet treat. 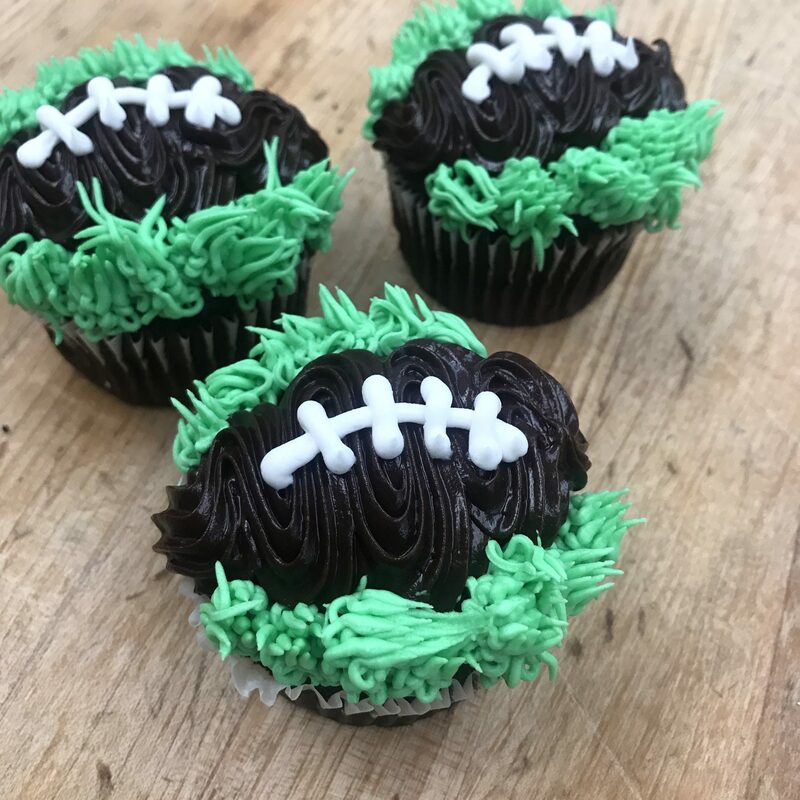 Even if your guests don’t leave room for dessert, send them home with one of our individual football cakes coated in ganache or one of our freshly-baked cupcakes topped buttercream icing and a football-themed decoration. Don’t forget, Montgomery Bakehouse also has you covered for all of your bread and hamburger bun needs. 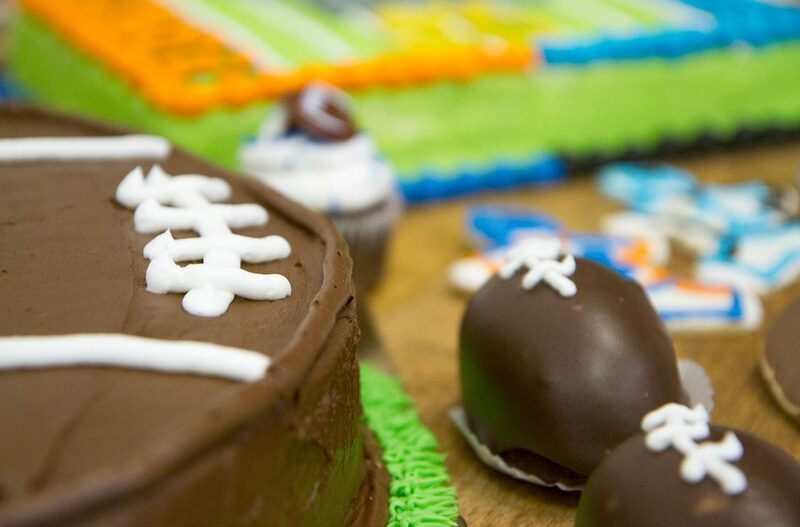 Order today for pickup to guarantee your Super Bowl Party is a sweet success!